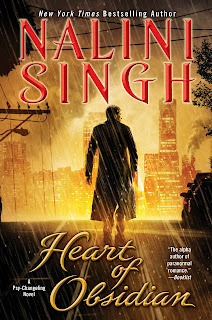 Congratulations to the winner of WILD INVITATION by Nalini Singh, and a HUGE thank you to Nalini for her wonderful interview and generous donation. The winner is: a Rafflecopter giveaway I’m sending the winner an email. The prize will be mailed by Ms. Singh’s assistant. Thank you all for stopping by! Happy Reading! Review: Heart of Obsidian by N..
Meet THE GHOST from Heart of O..
Have you heard… Click for larger image ENJOY! !